Get incredible surround-sound decoding from your in-home theatre with this Digital Fibber Optic Audio Cable from CE Tech. Fibber optic cables offer highly reliable information carrying capacity using light instead of electricity for clearer signals over a wide-range frequency. Crush-resistant PVC-insulated jacket maintains fibber integrity, even under heavy loads. Connect audio and video components with the help of this CE Tech Cable. 12 ft. coaxial cable with nickel-plated RCA connectors. RCA connections include red and white jackets for audio and yellow for video connection. CE Tech Standard HDMI Cable with Ethernet connects audio/video equipment for high-definition viewing. Cable provides 720p or 1080i video resolution, plus has a dedicated HDMI Ethernet data channel for device networking (functions only if both linked devices are Ethernet-channel enabled). Not for use with high-speed applications. CE Tech Deluxe HDMI Cable with Ethernet provides more bandwidth than a standard HDMI cable, while also carrying a quality video output with an HD resolution up to 1080p. Cable also provides an additional dedicated Ethernet data channel for device networking (only available if both linked devices are HDMI Ethernet-channel enabled). HDMI Cable with Ethernet has high-speed data transfer that supports 3D applications. 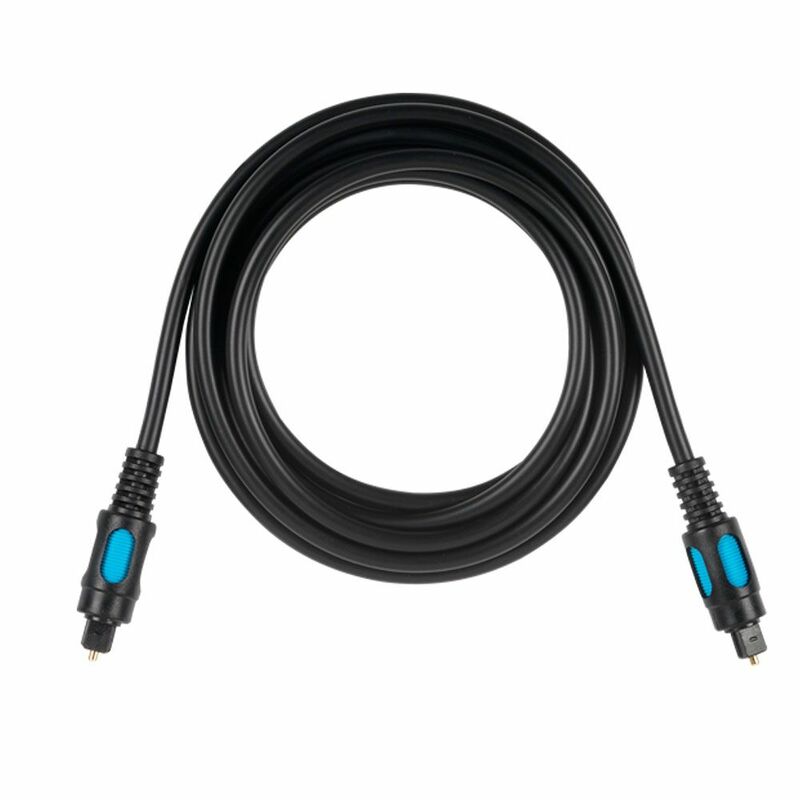 Digital Fiber Optic Cable Get incredible surround-sound decoding from your in-home theatre with this Digital Fibber Optic Audio Cable from CE Tech. Fibber optic cables offer highly reliable information carrying capacity using light instead of electricity for clearer signals over a wide-range frequency. Crush-resistant PVC-insulated jacket maintains fibber integrity, even under heavy loads.